Borrow affordably by using the equity in your home. Home equity rates are typically lower than personal loans and the interest may be tax deductible. Get a closed end Home Equity Loan with terms to suit you. Buy the home of your dreams with a low rate mortgage. 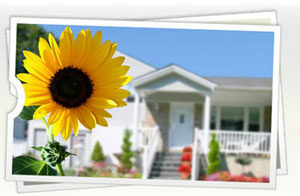 We offer fixed rates to purchase or refinance your home. Rates change often so check with your representative. Our low closing costs allow you to spend more on your home. If you are looking for competitive mortgage financing from a lender you can trust, stop by your local office, contact us at 814-834-9518 or to apply for a mortgage, you can visit OwnersChoice Funding. Home Equity Debt Protection is available to borrowing members at a reasonable cost. This protection covers loss of life, transitional loss of life, disability, and involuntary unemployment. Ask a CU Rep. for more information.